Would you like to sail but you do not want to rent a whole boat? Just try cabin charter! In Croatia or in the Netherlands - it does not matter, in which area you will spend your sailing holiday. You can rent a berth or a cabin only - on a sailing yacht or a motor yacht. Happycharter, your online data base for cabin charter, sailing and yacht charter offers you many possibilities to rent a berth or a cabin. Just find your holiday boat here and contact the charter company directly. Cheap or exclusive, sailing or motoryacht - enjoy your cabin charter. Your sailing trip is waiting for you! It does not matter, in which country your want to rent a boat - in Croatia, in Greece or in the Netherlands - in our charter data base you will find the right sailing yacht or motoryacht for your boating vacation. Cabin charter is easy with Happycharter! Do you offer cabin charter by yourself? Can the charter customer rent a berth with your charter company? Sailing yachts or motoryachts - have you got boats for rent? Sign up now and add your boat offers into our cabin charter and boat rental data base. The charter customers visiting Happycharter will contact your charter company directly. Would you like to rent a berth or a cabin on a sailing yacht, motor yacht or a sailing catamaran cheap? Are you interested in cabin charter or berth charter? Do you want to do a nice sailing trip or sailing holidays on the sea? Happycharter, your internet portal for yacht charter, cabin charter and berth charter offers you a big choice of sailing yachts and motor yachts worldwide. Our charter data base contains cheap charter sailboats in lot of regions in Europe and worldwide. Do you want to sail with children? At Happycharter you will find the right boat or yacht. 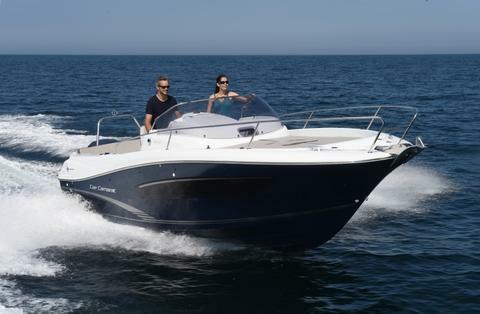 Just look at our boats for cabin charter and berth charter! A thrilling boating trip is waiting for you!